The National Thoroughbred Racing Association (NTRA) released today the rules for the 2014 Daily Racing Form National Handicapping Championship Tour. Signups for the 2014 DRF NHC Tour are now being accepted at ntra.com/en/nhc/become-a-member. The complete rules are posted at ntra.com/en/nhc/official-rules. The DRF NHC Tour is a yearlong series offering $200,000 in additional prize money and 20 or more qualifying berths to the NHC. The 2014 Tour officially kicks off Monday, January 27, and continues through December 31. A tentative schedule of tournaments can be found at ntra.com/en/nhc/nhc-tour-schedule. Membership in the 2014 DRF NHC Tour requires a one-time membership fee of $50, which is valid for calendar year 2014. 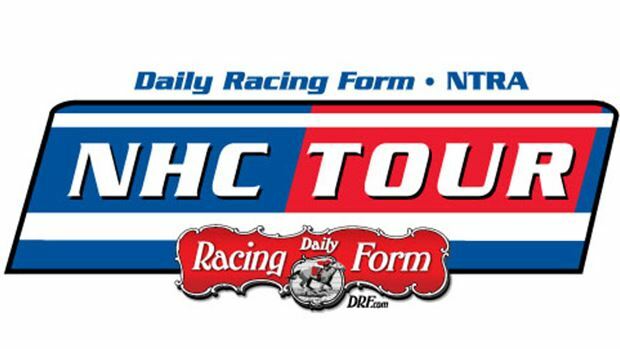 Membership in the 2014 DRF NHC Tour is mandatory and must be in place prior to the start of any given qualifying tournament in order for top finishers of sanctioned NHC qualifying events to be eligible to compete in the January 2015 Daily Racing Form/NTRA National Handicapping Championship (NHC) – the lucrative culmination of the year’s qualifying schedule. The 15th renewal of the NHC takes place this weekend, January 24-26, at Treasure Island Las Vegas, where Jim Benes of Countryside, Ill., will defend his Handicapper of the Year title. Among the changes for 2014 is a tiered Tour points system based on the number of contestants participating in each tournament. Contest participants also will receive points from each tournament in which they participate. Contestants will receive 150 Tour points for participating in a brick and mortar tournament and 50 points for participating in an online tournament. As was the case in 2013, the top 150 Tour points leaders at the end of the year will be guaranteed entry into the 2015 NHC, where the overall, season-ending NHC Tour points leader will win $75,000 and be eligible for a $2 million bonus should he or she capture the 2015 NHC. The 2013 NHC Tour winner was Brent Sumja of San Anselmo, Calif.
NHC Tour prize money this year will be $200,000, including a total of $50,000 in mid-year payouts to the top five individuals in the standings as of July 31. End-of-year payouts will total $150,000, with points based on a member’s top six scores (including at least one score from a brick and mortar tournament location). The 2015 NHC will offer a $1.5-million guaranteed purse and at least $750,000 to the winner, along with an Eclipse Award as the Handicapper of the Year. · $200,000 in Tour prize money. · Membership in the NTRA, which include benefits and discounts from NTRA Advantage partners and membership in the Horseplayers Coalition that supports NTRA legislative initiatives in Washington, D.C. Entering its 16th year, the Daily Racing Form/NTRA National Handicapping Championship is the most important tournament of the year for horseplayers. There are no “buy-in” entries at the NHC. It is the culmination of a year-long series of NTRA-sanctioned local tournaments conducted by racetracks, casino race books, off-track betting facilities and horse racing and handicapping websites, each of which sends its top qualifiers to the national finals. Each year, the NHC winner joins other human and equine champions as an honoree at the Eclipse Awards. The 14 NHC Champions since the event’s inception, in chronological order, are Steven Walker, Judy Wagner, Herman Miller, Steve Wolfson Jr., Kent Meyer, Jamie Michelson, Ron Rippey, Stanley Bavlish, Richard Goodall, John Conte, Brian Troop, John Doyle, Michael Beychok and Jim Benes.